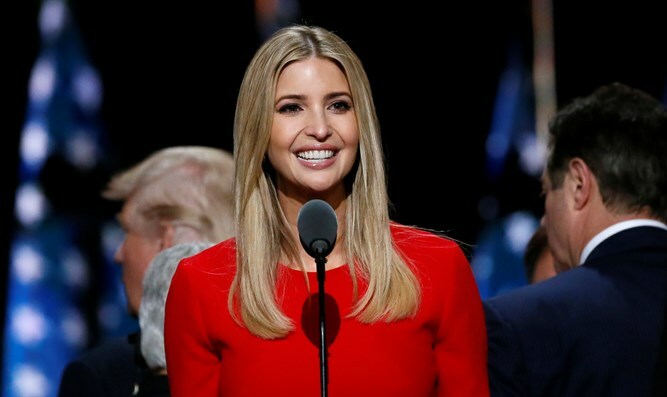 MainAll NewsUS & CanadaWas Ivanka behind Bannon's ouster? Was Ivanka behind Bannon's ouster? Washington insiders claim President Trump's Jewish daughter behind push to remove controversial strategist - but WH aide slams report. On Friday, the White House announced that senior Trump strategist and former Trump campaign adviser Steve Bannon was leaving the administration. "White House Chief of Staff John Kelly and Steve Bannon have mutually agreed today would be Steve's last day. We are grateful for his service and wish him the best," said White House Press Secretary Sarah Huckabee Sanders in a statement quoted by The Hill. Bannon, who feuded with other administration officials, including President Trump’s son-in-law and senior advisor Jared Kushner, tendered his resignation 11 days before the announcement, the White House said. Yet it is widely believed that Bannon, who used his position in the White House to push a populist-nationalist agenda, was forced out following the replacement of Trump Chief of Staff Reince Priebus with former Homeland Security Secretary Gen. John F. Kelly. According to a report published in the Daily Mail on Sunday, however, Bannon’s removal was orchestrated not by Kelly but by President Trump’s daughter and confidant, Ivanka. Ivanka, who converted to Judaism before marrying Kushner in 2009, “pushed out” Bannon from the White House, Washington insiders told the Daily Mail. But a senior White House aide pushed back on the report Sunday, telling Breitbart News the claim was baseless. Breitbart, which was managed by Steve Bannon prior to his work on the Trump 2016 presidential campaign, reported that the White House aide called the claims published by the Daily Mail “totally false”.